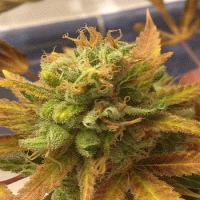 StarKush Regular Cannabis Seeds by Hortilab Seeds: StarKush is an extremely potent Indica hybrid derived from a cross of HortiLab's award-winning StarBud Sister and Biker Kush which came from the stock of Hortilab's buddies at Karma Genetics. 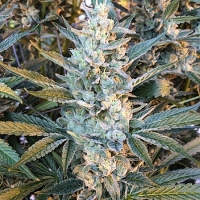 StarKush retains characteristics from both lines; test grows conducted in a legal climate yielded robust and vigorous plants producing dank, frosty nugs making this an ideal choice for those interested in extracts. The plants can develop pink or reddish pistils which hint at how special this Indica hybrid is. Flavours are Kush dominant, backed with earthy undertones, an amazing strain of Indica marijuana with genuine cup-winning potential in future years, available now as collectable, souvenir seeds, the StarKush is sure to be popular with genetics connoisseurs seeking to preserve rare, superior strains of cannabis for years to come.